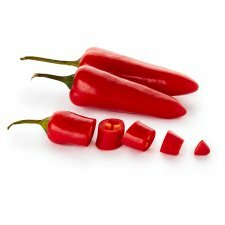 Why not try Chilli jam: De-seed chillies and a red pepper. Place in a food processor and blitz until smooth. Dissolve 400g sugar and 240g white vinegar in a pan over low heat without stirring. Place the chilli and pepper paste in the pan with the sugar and leave to boil for 10 minutes. Take pan off heat and allow liquid to cool and semi-set. Pour carefully into jars and leave to cool and set. 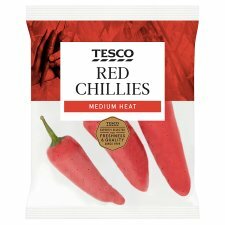 Good to know Leftover chillies can be frozen for up to one month. Easy to chop from frozen.